If you are a local business, chances are that you have a local business listing in some type of directory or data source. Whether it’s a directory like Yelp, Merchant Circle, Insiderpages or a data provider like Acxiom, Infogroup or Localeze, your business listings should all be showing exactly the same way. However, there are many reasons why your listing may not be showing properly in these sources. This can easily occur if you’ve moved your business location or have changed your number in the past and failed to update these directories and data sources. GetListed.org has put together what is called, “The Local Search Ecosytem,” which shows how all these directories and data providers intertwine with one another. When you have inconsistent business information across the web, it confuses the search engines. How can you as a business identify where your inconsistencies are? Maybe you have some spreadsheets from a previous provider that have all of your useful usernames and passwords, but even with that information, it could potentially take a great deal of time to log into each source to check for accuracy. Maybe you aren’t fortunate enough to have received or save the previous logins for your business listings submissions. What do you do then? I’m going to recommend some tools that will identify your incorrect local business listings. Just go to the home page of getlisted.org, enter in your business name and zip code, and it will check your local business listings for free. This is one of the fastest tools I use. It usually takes less than a minute, and it appears that they check about 20 different authority sources. BrightLocal has a citation tracker. This tool checks hundreds of sources and tells you if your business is listed or not. It not only checks the high authority local business listings, but also some of those sources that are niche and geo-targeted. It’s important that your business is listed correctly not only in the authority sources like superpages.com, but also a source that is specific to your state. For example: Texasmonthly.com is a geo-targeted source. It also helps with given you the domain authority, citation value, type of site, and whether it’s a free or paid listing source. Citation Finder- Here’s the bread and butter for identifying and cleaning up your incorrect sources. It will find where your business is listed whether it is a search engine, social site, press release site or directory, and will let you know if your business listings are consistent. Your incorrect business information sources will be visibly noticeable within the citation dashboard. 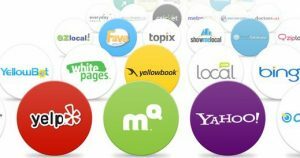 This part of the tool will also identify both national, authority, niche and geo-specific sources that your business should currently be listed in. Whitespark can be used to identify some of the local business listings your competitors are in so you are able to target those same sources for submission of your own business information. I’ve been using this tool the longest. You enter your business N.A.P. (name, address and phone number), and the tool will “spin the hamsters”-it literally says that. Then, a list of sources are returned identifying your business. Let’s just say you had an old number for your business and want to locate and cleanup some of those erroneous listings. Just enter your old number into Whitespark, and it will return direct links to outdated business listings. Another way to use this tool is to identify some new sources that you can submit your business to. You will just enter in your keyword of choice and your city + state and the tool will “program the Flux capacitor.” You can then take that data and submit your business. This is one of the only tools that I’ve found that provides the AC Rank metric that comes from Majestic SEO. Now that you are able to identify where your business listing is or can be submitted, and whether or not your business information is listed accurately, it’s time to start cleaning up and submitting. Depending on how many listings you need to clean up or submit to, I’ve found it to take up to 10 hours or more. All 4 tools mentioned above offer some sort of directory submission service for your convenience, varying in pricing. I’ll explain in a later post how to filter a directory based on metrics before you submit your business to it. Once you have a consistent Local Search Ecosystem for your business, the search engines will reward you with better visibility. Look at it like the search engines do. Example A is a business that has 4 different numbers across 100 different business listing sources. Example B (example A’s competitor) has 1 number across 100 different business listing sources. Who would you trust? What tools do you use to find and correct inaccurate your local business listings?